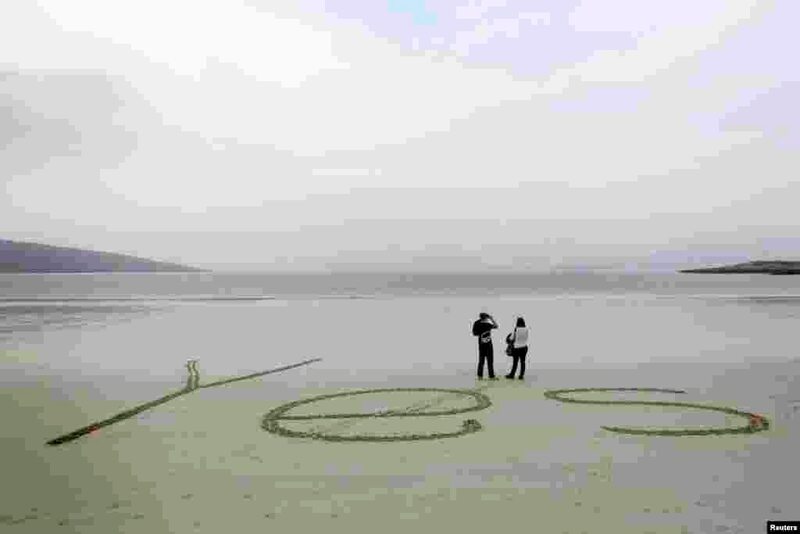 1 The word "Yes" is written in sand as people look out over the bay at Luskentyre beach on the Isle of Harris in the Outer Hebrides, Scotland. The referendum on Scottish independence will take place on Sept. 18, when the country will vote whether or not to end the 307-year-old union with the rest of the United Kingdom. 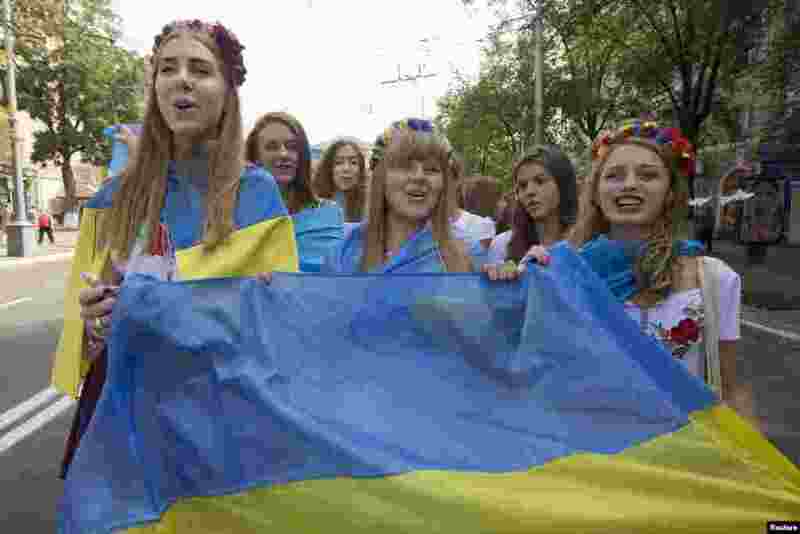 3 Ukrainian school girls take part in a rally against war in the southern coastal town of Mariupol. 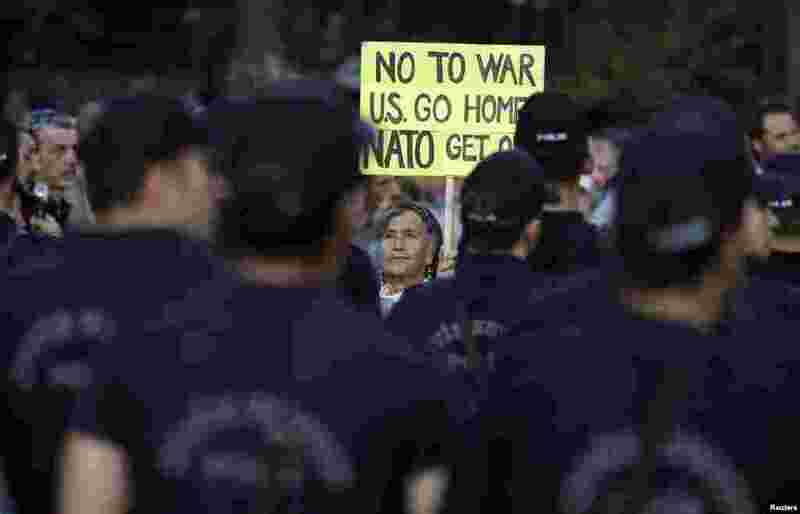 4 A protester holds a poster as she and others are stopped by riot police on a road leading to the U.S. Embassy in Ankara, Turkey, during an anti-U.S. demonstration march. U.S. Secretary of State John Kerry met with Turkish officials to push an international coalition to combat the Islamic State militant group.